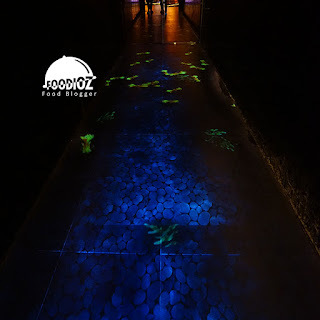 Still around Macau, as i mention before besides being famous for its classic Portuguese-style architecture, Macau is also known for its nightlife activity such as casino, bar and entertainment show. Almost in the center of the city, we could easily find a many places with a glittering look. 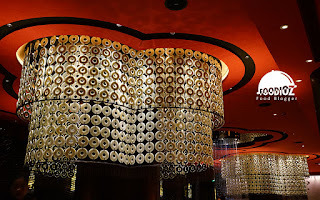 This time, i visited one of the casino that has been operating in Macau for long enough. 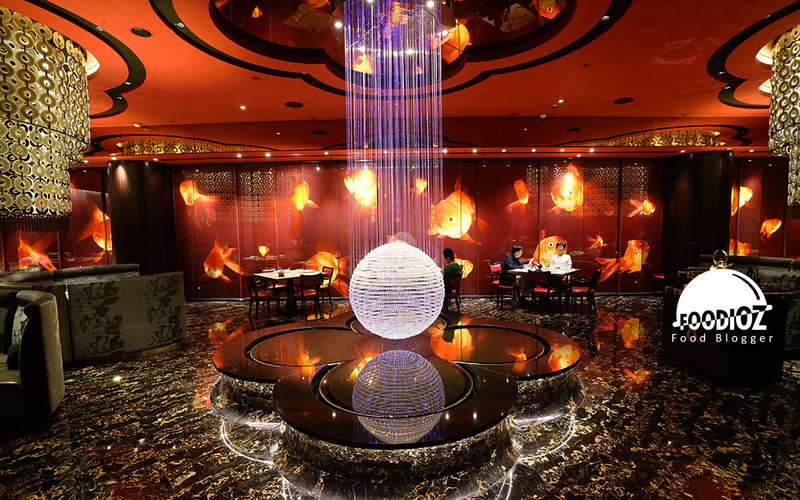 But my visit instead to play in the casino, i was going to have lunch at an exclusive chinese restaurant with 3 Michelin stars. In accordance with the award, from the beginning when entering The Eight, i was able to see the luxury and detail are so perfect. Dominant with red and black makes the interior of the restaurant to be elegant, then, the floor with a black marble base and filled with beautiful patterns. 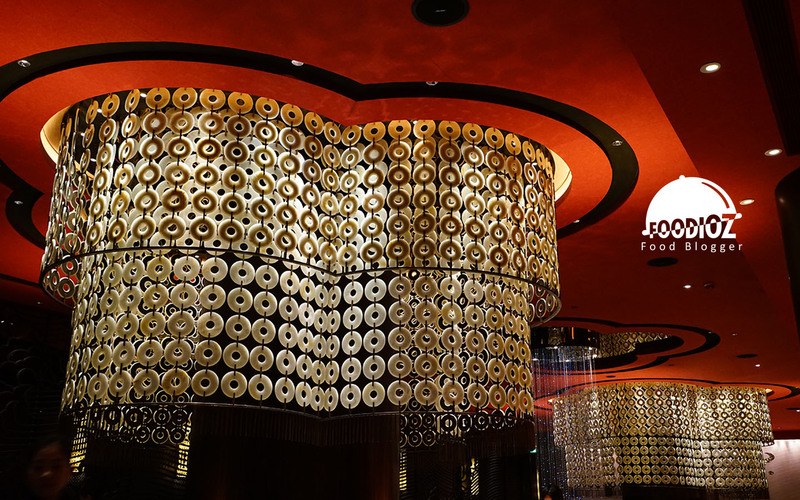 In addition, it is filled with crystals hangers and Chinese coin-shaped ornaments that surrounded every pillar. 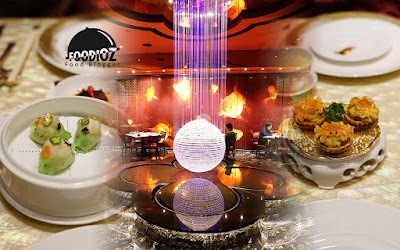 With the Chinese concept, of course the menu offered is a variety of authentic Chinese food so much. And at lunchtime, they also offer dim sum with various choices. 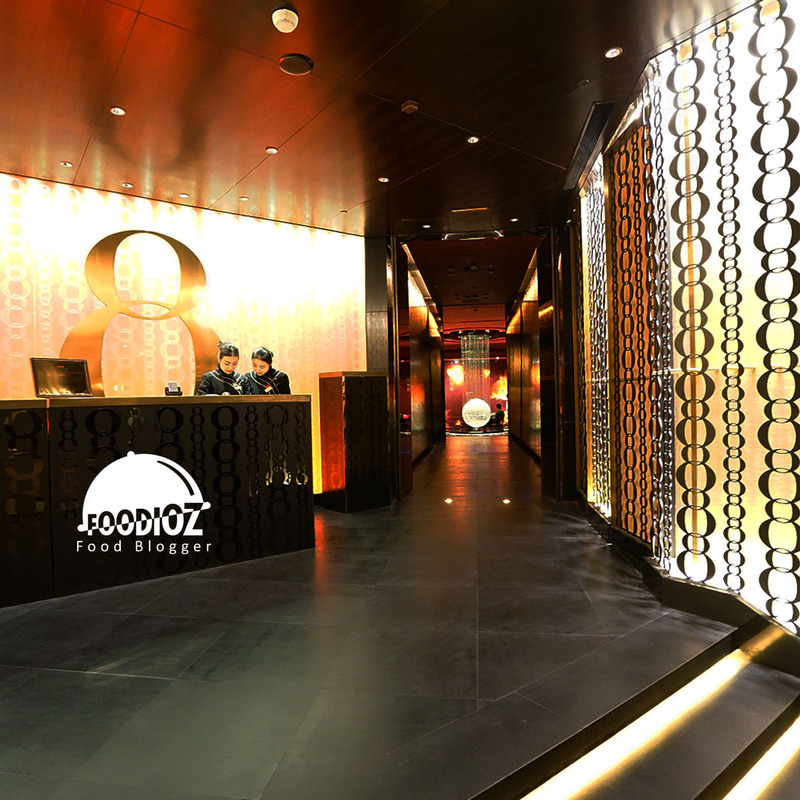 The restaurant's staff members are divided into two categories where each staff uses a badge with English and Chinese flags that symbolize what language they will use during customer service. Since I'm not fluent in Mandarin, the staff who approached me spoke fluent English. After reading some articles, I chose some recommended dim sum. One of them was a Steamed Dumplings Crystal Blue Shrimps in Goldfish Shape. 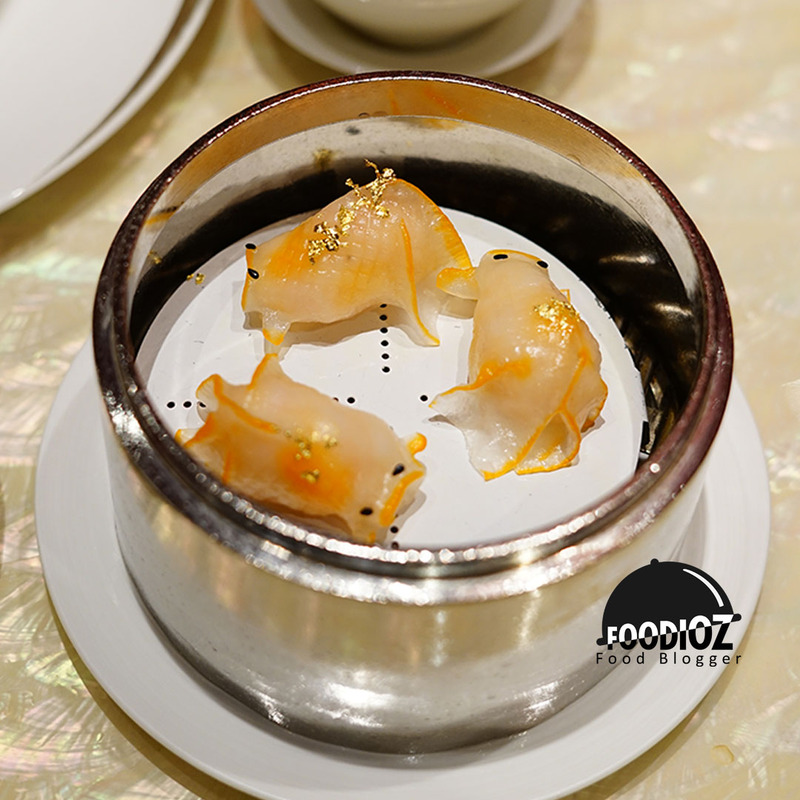 White plate with 3 pieces of dim sum beautiful with goldfish form brightly colored and gold grains on it. With soft outer shell wrapped, with sweet and tender shrimp meat. Then, there's Steamed Dumplings with Lobster & Black Truffle. With a general shape but bright green color that looks so beautiful. Stuffed with very tasty lobster meat and fresh flavors. This one also not less interesting, indeed, quite a lot can be found in Jakarta dim sum with the hedgehog shape. 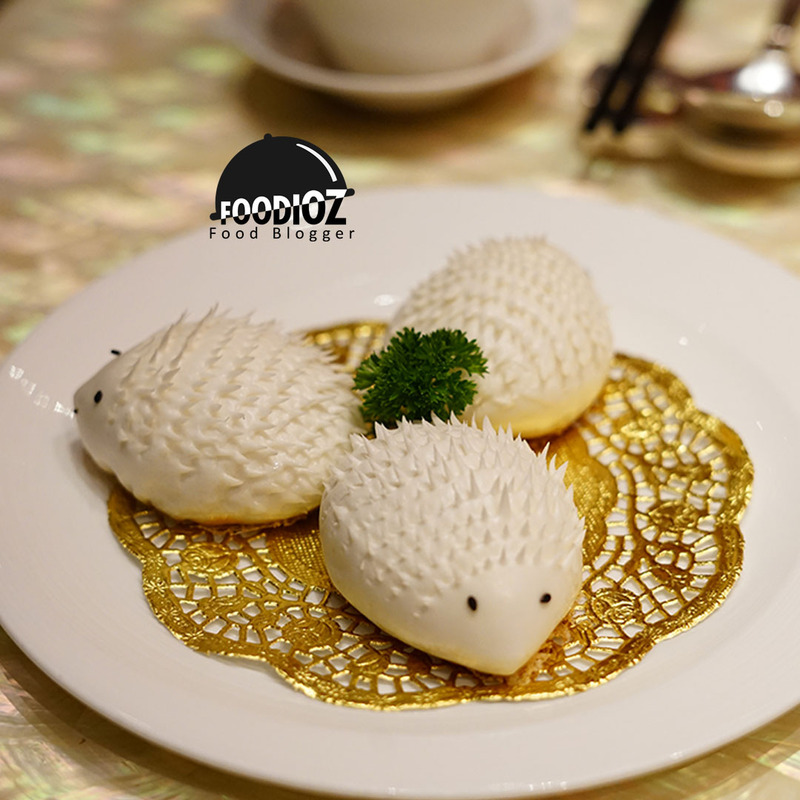 But here, the details really pay attention, the form of Steamed Barbecued Pork Buns with Preserved Vegetables is a hedgehog complete with thorns are so detailed and neat. As well as the flavorful bun texture on top and crisp on the bottom is filled with minced pork with tasty flavor. 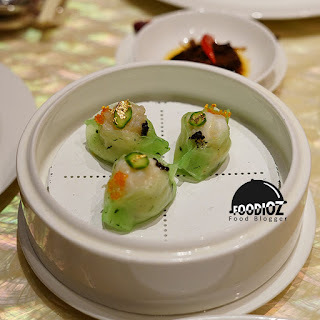 All dim sum provides a really satisfying taste. Besides dim sum, i was also served with appetizers of amuse that every day is different. 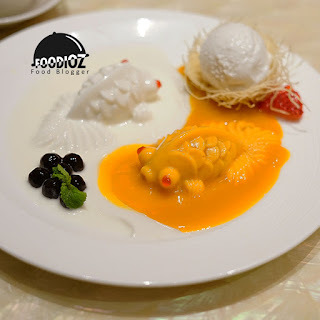 Then, I also tried a dazzling dessert that was a Chilled Mango & Coconut Pudding in Fish Shape. A plate of pudding with two pieces in the form of a very beautiful goldfish. Fresh taste of mango and coconut with a very legit sauce. No less delicious there was also a Baked Tartlet filled with Crabmeat in Curry Sauce. 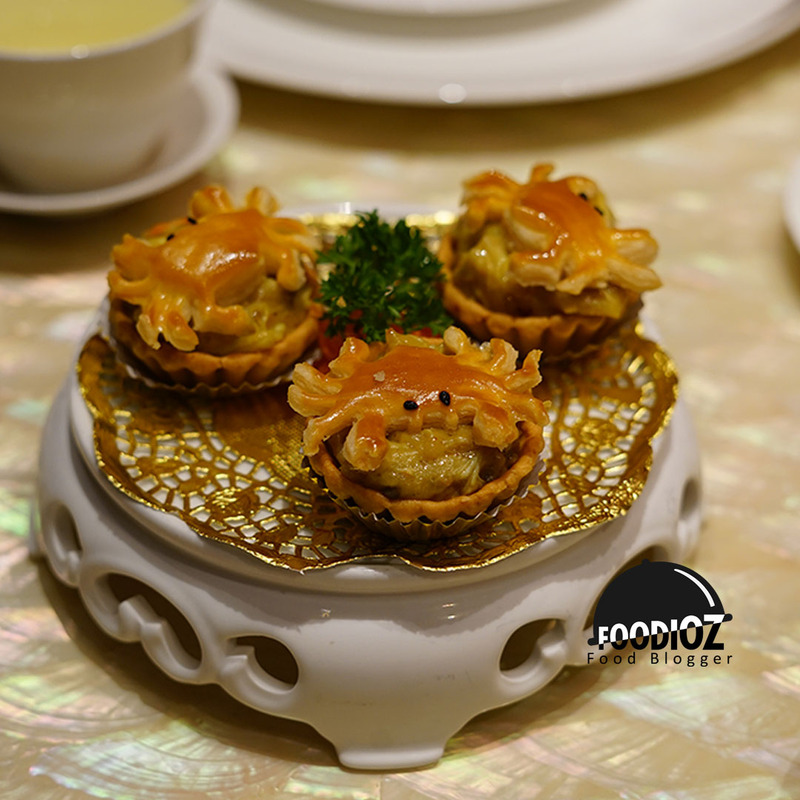 Baked puff pastry dough with processed crabmeat curry, fresh crab and perfect pervasive curry provide a wonderful flavor. With 3 Michelin stars, certainly no doubt of the concept, the presentation of food, taste and service are absolutely perfect. The Eight will certainly be one of the exclusive and unforgettable dining experiences. But for all that of course there will be a fairly high price to be spent.